← White Day in Japan! This suggestion came from the same friend who suggested Snorlax x Totoro. 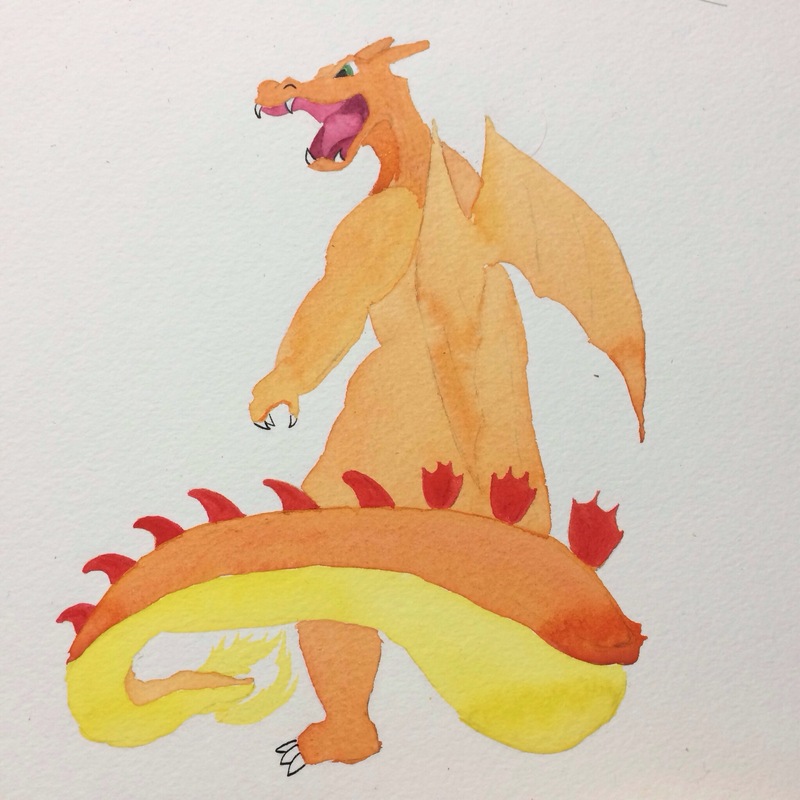 I worked on him for a while (you may have noticed a lack of watercolor last week, mainly due to this guy and another big project in the works,) with a bunch of preliminary sketches to figure out just how I wanted to combine the two. I think the effort shows, and I like how he came together. I especially enjoyed doing the texture of the scales on this guy. So, what Pokémon should I mashup next? 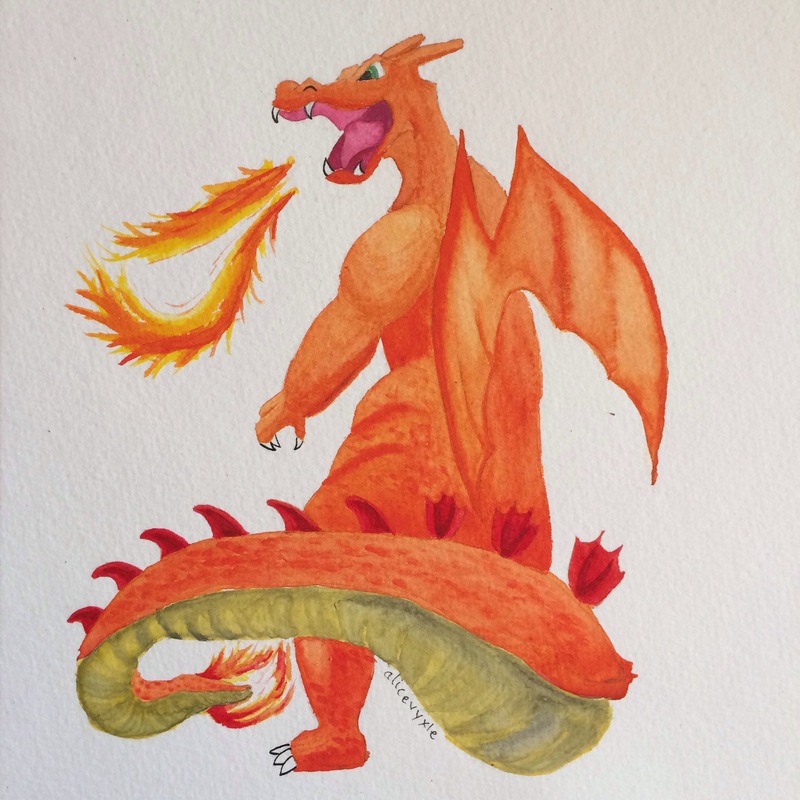 This entry was posted in Art and tagged Art, charizard, godzilla, I painted this, illustration, mashup, my art, Pokemon, watercolor. Bookmark the permalink. 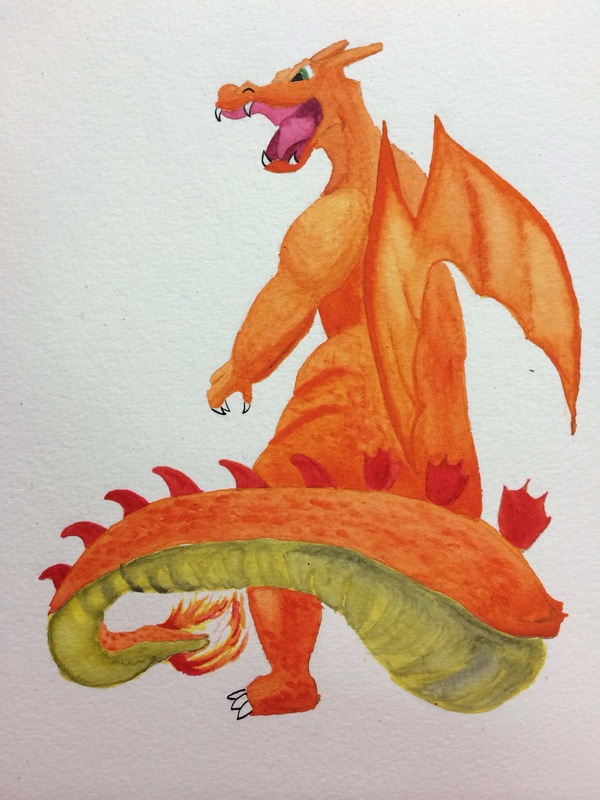 1 Response to Today’s watercolor: Charizard meets Godzilla!